Already, it’s been seven days since I last fell in love… This time, it’s an affection I’ve developed for a new kind of music! It was at the Green Man Festival last weekend where I feel I was first properly introduced to the genre commonly known as indie music. Folk, world, blues; I’ve heard them all before and they’re appreciated. But for some reason, some how, I’ve gone almost 30 years without experiencing indie. To tell you the truth, I still cannot quite define how it can be differentiated from ‘light rock’! I think I’m supposed to be in work today but having only returned from a long weekend at my first music festival less than 24 hours ago, I spent the entire morning in bed, only to arise around midday and to begin sharing this mere summary of my four-nights at the Brecon Beacons National Park. 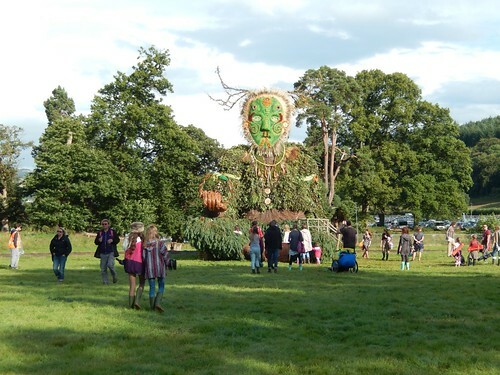 This is where the Green Man Festival is held annually. I hesitated at first when I was invited to join a friend several months ago but when I realised it was on a small scale than Glastonbury, I decided not to hold back.